A Latin twist on an American classic! 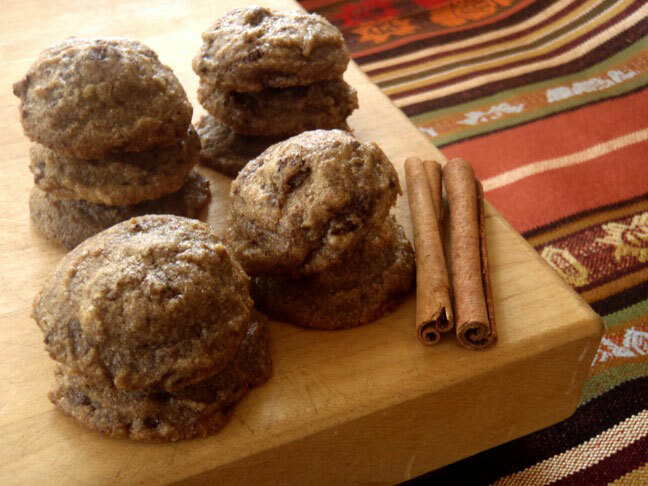 The key ingredient in Mexican Cinnamon Chocolate Chunk Cookies is Ibarra Chocolate. Ibarra is a slightly coarse Mexican chocolate bar with the added flavor of cinnamon. The slightly spicy and sweet combination is wonderfully warming. Step 1: Cover a baking sheet with parchment paper and set aside. Step 2: In a medium mixing bowl, combine the flour, baking soda, and cinnamon, and set aside. Step 3: In a slightly larger mixing bowl, cream the butter with the sugars. When the butter and sugar are well blended, add the molasses, vanilla, and cream. Mix in the egg until well incorporated. Add the flour mixture to the batter and combine, mixing only until it's well incorporated. Then fold in the grated and chopped Ibarra chocolate. Step 4: Use your hands or a tiny ice-cream scoop (about 1 1/4 inch) to drop dollops of dough on the parchment covered baking sheets, very close together. Cover with plastic wrap and refrigerate for at least 1 hour. Step 5: Preheat the oven to 375 degrees, and cover another baking sheet with parchment paper. Ibarra Mexican chocolate can often be found in major supermarkets. 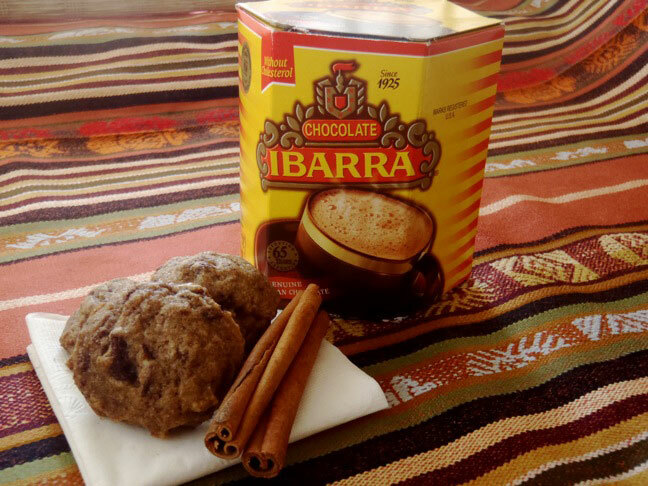 If you don't see it in your area, you can purchase Ibarra Mexican chocolate here.